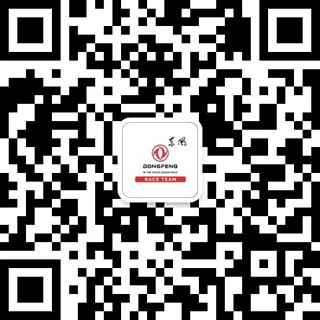 Dongfeng Race Team was created to take part in the 2014-15 Volvo Ocean Race. From the very beginning the campaign was ambitious, combining the creation of a Chinese-sponsored multinational sailing team with a mission to promote the sport of offshore sailing in China. No one expected Dongfeng Race Team to be in contention for overall honours, not least because its crew included several talented but inexperienced Chinese sailors. But the team, under French skipper Charles Caudrelier and team manager Bruno Dubois, stunned the sailing world by claiming third place on the overall podium and producing one of the strongest performances in the first half of the race. 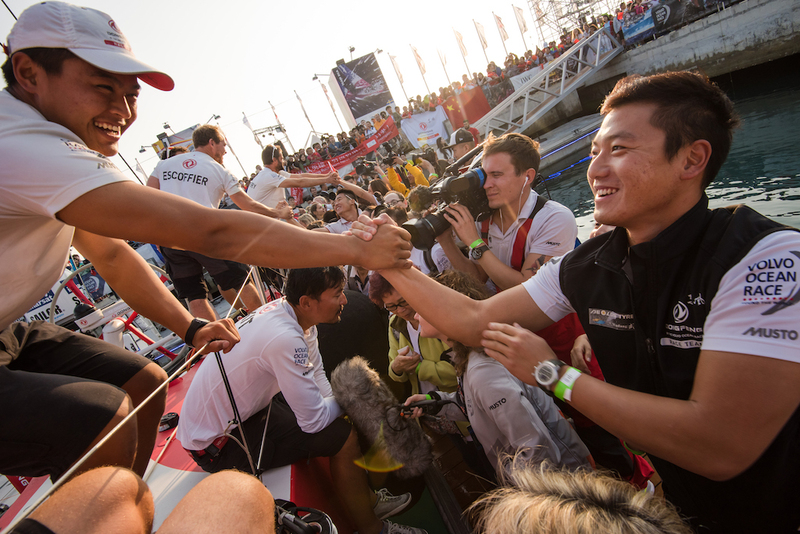 Dongfeng proved that team spirit, hard work and a collective talent for making a boat go fast – especially in light airs - can overturn the form book. 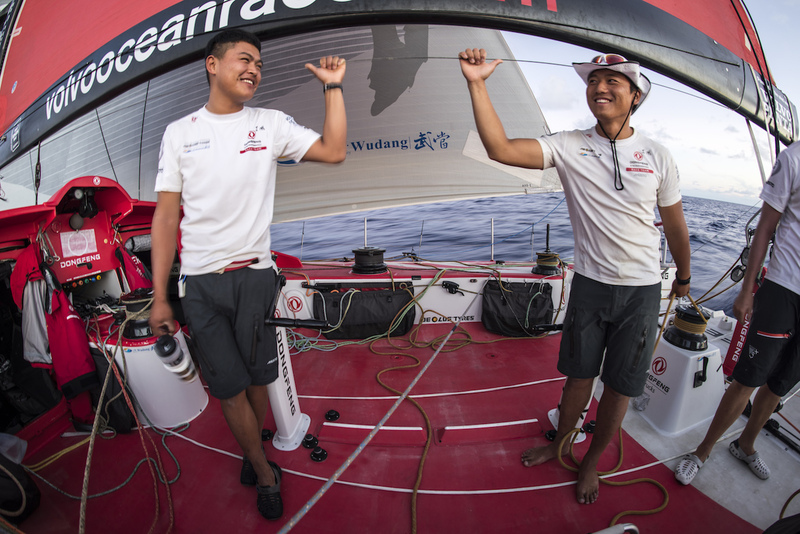 With two leg wins and five podium finishes out of nine legs, Dongfeng went from underdog to serious contender in a matter of months. Only a mast break in the Southern Ocean on leg five prevented the Chinese team from finishing even higher up the overall ranking at the and of an epic race. After a 10-month mission to select its Chinese crew and blend them into a battle-hardened unit with their Western counterparts, the start day for the Dongfeng Race Team in the Volvo Ocean Race 2014-15 had finally arrived. Fittingly, Team Brunel skippered by Bouwe Bekking beginning his seventh Volvo, led the fleet across the line on a classic opening stage that took the crews from the Mediterranean into the Atlantic, then across the Doldrums to the fringes of the Southern Ocean and the finish at Cape Town. After the heroics of leg one the Dongfeng Race Team had enjoyed some well-earned rest before beginning preparations for the arduous leg two that would take the crews from Cape Town to the Gulf. The 6,125-mile stage presented a complex generally light airs test with an opening taste of the Southern Ocean and then a race north towards another date with the Doldrums. Then there would be a fiddly beat in sweltering temperatures towards the Strait of Hormuz. The 4,670-mile course for leg three was another monster and was anything but simple for the six crews remaining in the race. 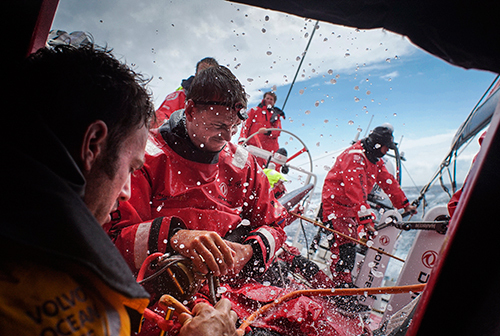 But there was an extra ingredient that was rubbing away at Charles Caudrelier and his determined men on Dongfeng. This was the leg to their home port, where the Dongfeng dream had been born and where their sponsors would be waiting. The Chinese were expecting them and the Chinese were expecting a winner. 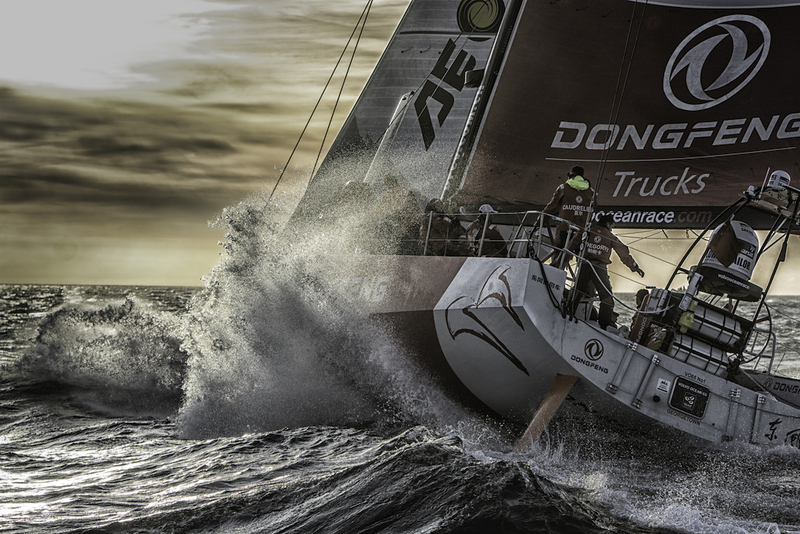 What no-one could have foreseen was that Dongfeng would lead virtually from start to finish. Managing expectations was high on Charles Caudrelier’s mind when the Dongfeng Race Team skipper prepared to set sail on leg four –another hugely challenging stage from Sanya to Auckland, New Zealand’s fabled “City of Sails. As the Dongfeng team re-assembled in Auckland, there were two things on the mind of their skipper, Charles Caudrelier, and neither of them was a preoccupation with trying to win the leg. The Frenchman was worried about the safety of his sailors and about trying to get his boat past Cape Horn in one piece. Everyone was raring to go on a 6,776-mile leg that would taken them from New Zealand to Brazil, but the start was delayed because of the weather. Tropical Cyclone “Pam” had been causing death and destruction in the south Pacific and was heading for the seaway the boats would be using as they struck out from Auckland. For five of the Volvo Ocean Race teams the stopover at Itajai in Brazil served as a welcome chance to enjoy some rest after the rigours of the Southern Ocean. 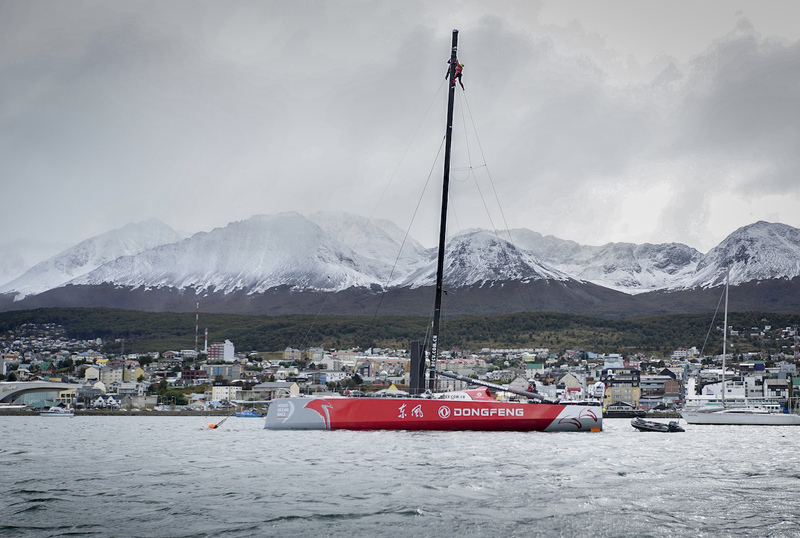 For the Dongfeng team it was a race against time to get their dismasted boat to Itajai from Ushuaia and then install a replacement mast and get everything ready for racing in time for the re-start. The Dongfeng shore crew, sailors, managers and logistics experts pulled out all the stops, once again demonstrating that the character and quality of a team is never better displayed than in adversity. 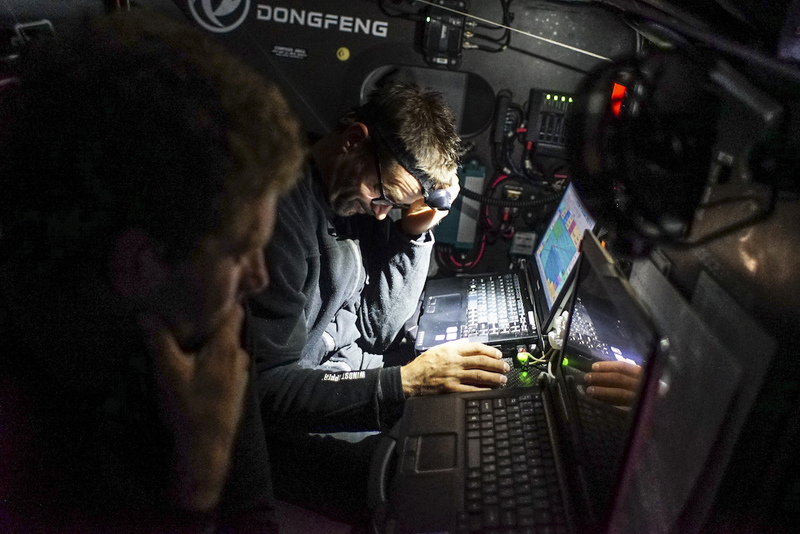 Graham Tourrell, the Dongfeng Boat Captain, had no plans to miss the deadline. “We have a responsibility and that is to deliver a boat to our sailors,” he said as he handed it back to Charles Caudrelier. 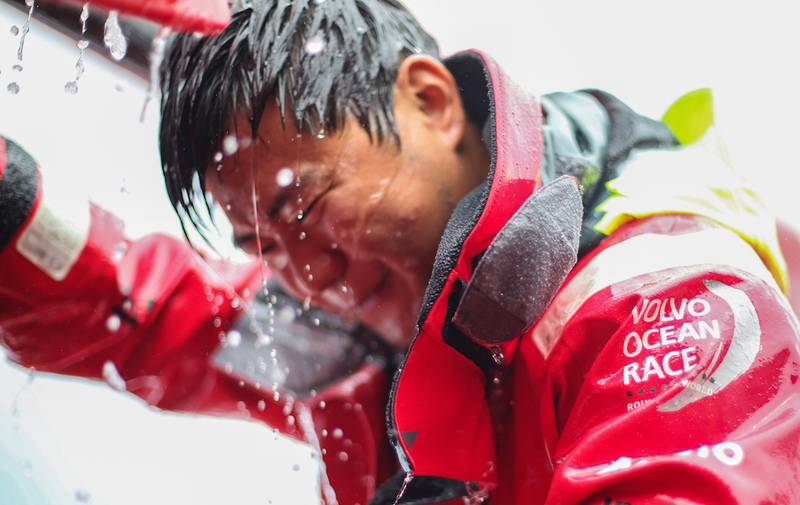 The vibe amongst the Dongfeng Race Team in Newport as the leg 7 re-start day approached was confident but tinged with anxiety. The Volvo Ocean Race 2014-15 was heading for its unpredictable climax and Dongfeng was nicely placed in second position overall but Team Brunel was breathing down its neck, just four points adrift in third place. Normally a 2,800-mile transatlantic leg could be guaranteed to offer a big downwind thrash at high speed, but adding to the nerves was a weather picture that promised uncertainty, light winds for much of the time and no clear route through the Azores High, blocking the passage to Europe. 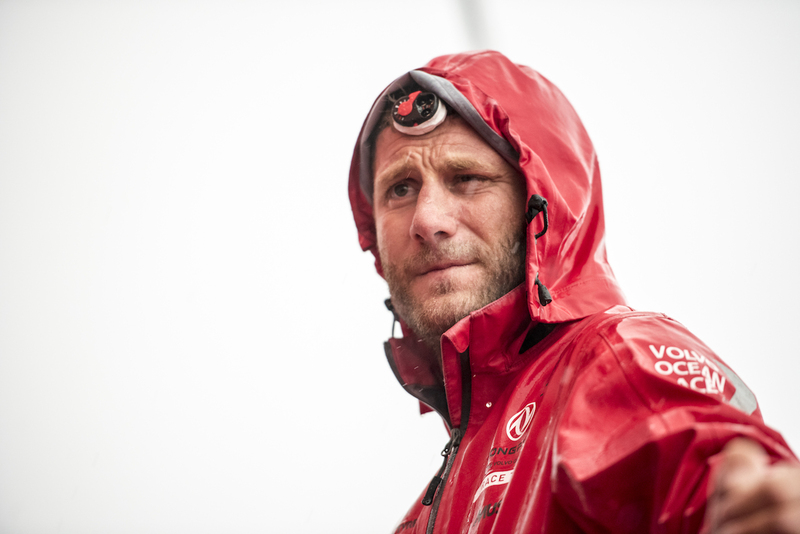 The mood was downbeat – confidence had taken a knock after the disappointing end to leg seven – when Dongfeng Race Team assembled for the 647-mile penultimate leg from Lisbon to Lorient. Not helping matters was a poor showing in the Lisbon In-Port Race when Dongfeng was sixth out of seven boats, with the re-built Team Vestas now back in the fleet. The start of the leg saw the crews almost becalmed off Lisbon as they crept round the cans before heading out into light winds off the coast.